Many Golaem Crowd users like the Rocketbox characters, reknown for their quality and large diversity of models and animations. It is pretty straightforward to import them in Golaem Crowd, but there are a few tricks involved. Rockebox characters are usually provided for Max and/or Maya. 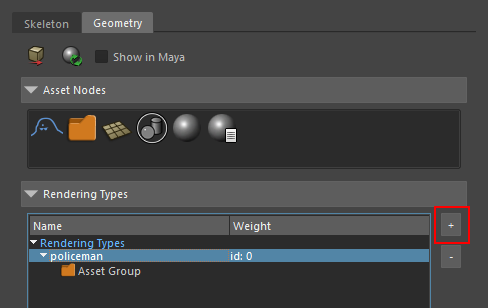 If you already have a Maya character, you can skip the first part. We will use a FBX file to transfer the character from Max to Maya. As usual, a FBX transfer is not as straigtforward as it should be and some precautions should be taken. 1. The character meshes are stored in their own layers, which are given the same name as the mesh. Maya will artificially rename the mesh when loading the FBX which will be complicating the asset management step. The best way to avoid it, is to put each mesh in the default layer, and delete the source layers. 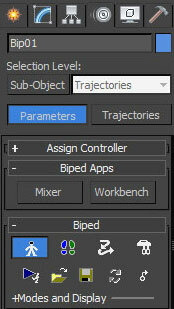 Right click on the mesh and choose "select"
Right-click on the default layer, and choose "Add selected object"
5. Export the character as a FBX file. If you need to keep animation, do not forget to check "Bake Animation" in the final export dialog. 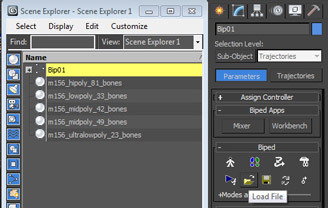 As fbx may modify the names of your assets , check the box use scene name to avoid further problems. Check the Importing Custom Characters Tutorial to know how to create a Character File (.gcha) file corresponding to your RocketBox character. Note that this step is mandatory. Warning: In a rocketbox joint hierachy Thighs are linked to the firtst Spine (Bip01Spine), to be able to use motion retargeting, please map this spine as a root and leave the two first joints Bip01 and Bip01pelvis unmapped. You can check our tutorials and use the created characters as you would use a character from the samples or the character pack. 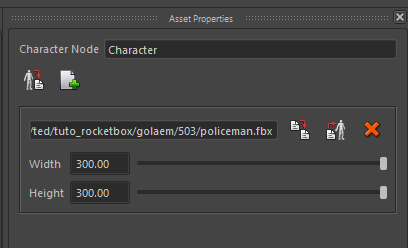 However as Rocketbox characters are built using meters (instead of centimeters, which is the default Golaem Crowd scale), you will probably need to scale them. 9. 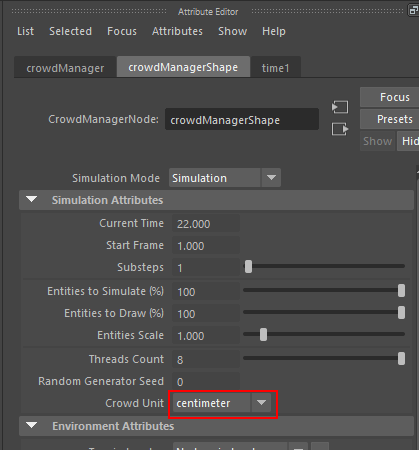 To work with the correct scale go into the Crowd Manager attributes and change the scale to centimeter. You will have to delete your poptool and create a new one.